has graduated pharmacy at the Medical University in Sofia..
She passed postgraduate education and is a specialist in Organization and economic of distribution and pharmaceutical practice. Her PhD degree is on “Medico-social and economic aspects of COPD in Bulgaria ”. Assist.prof. Kalina Andreevska works at the Medical University in Plovdiv at the Department of Pharmaceutical science. She is an author or coauthor in more than 50 scientific articles and 3 books. 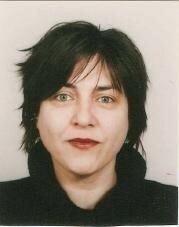 Dr. Rossitsa Vassileva is Medical Doctor,graduated at the Medical Academy, Sofia, Bulgaria in 1986. Her postgraduate specialization is in scientific information. Her career starts as nephrologist in a hemodialysis center. She has a longtrack record in the clinical development of medicinal products, consulting international pharma companies and CROs in medical affairs, clinical research and medical writing. Dr. Vassileva was also Director of Directorate “Analytical activities and control” at the National Council for Pricing and Reimbursement of the Medicinal Products. Currently she is Head of Regulatory Affairs and Matrix Services at the international CRO PSI, responsible for the Balkans region. She is registered expert at the European Commission since 2008. Bulgarian Association of Clinical Research, Legal Medical Expert on clinical trials.